Poet Angela Carter ’09 and James Madison University graduate student Erin Casey will headline the April 2 Walk for Hope, which is hosted by James Madison University (JMU) this year. 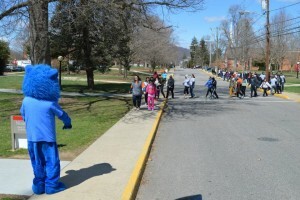 Eastern Mennonite University joins JMU, Bridgewater College and Blue Ridge Community College in organizing the annual event, which raises awareness about suicide and depression. The event begins at JMU’s Student Success Plaza, in front of the Grace Street parking deck, and the walk will wind through the campus for 1.3 miles before ending at Godwin Gym, where Carter and Casey will address the crowd. Food and activities will be available, including the folding of origami fish as symbols of strength and courage, creating remembrance stones and other arts activities, and a kids’ area. Participants can also make squares to start a new Symbols of Hope quilt. The first quilt, which was created over the three previous Walk for Hope events, has been completed and will be on display at the event. The walk began in 2012 following the death of Austin Frazier, a JMU student from Harrisonburg. The Frazier family approached EMU and proposed that all the area campuses come together to host an event, providing an initial starter donation. The Austin Frazier Memorial Fund now covers half of the expenses, and the four schools and Sentara RMH Behavioral Health provide the rest. Participants don’t have to collect sponsors or pay a fee, although donations are collected. 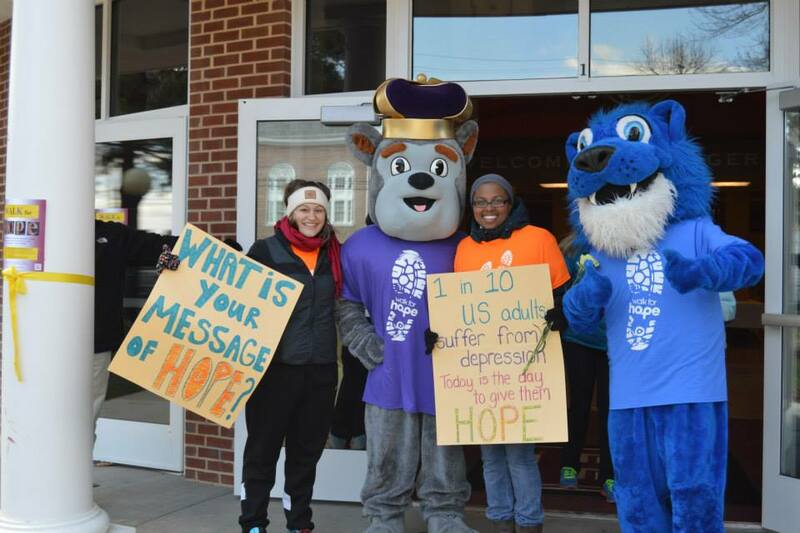 The first Walk for Hope took place in downtown Harrisonburg and drew about 1,000 people. Subsequent events have continued to have strong support, with at least 700 to 800 people walking each year. Comer said EMU—which will host the event in 2017—typically has 200 to 250 participating. Carter, an author, poet and a childhood survivor of sexual abuse and depression, took part in that first Walk for Hope. Casey, a JMU graduate student working with mental health issues as founder and president of Where I Stand, will provide the introduction and welcome Carter as the main speaker, and then the two will close together with readings of poetry. The other activities, representing different expressions of hope, will be available following the speakers. Check-in and T-shirt pickup (gray with color-coordinated footprints for each school) begins at the Student Success Plaza at 11:30 a.m. Each participant will also be given a yellow flower to carry on the walk. The walk begins at noon, and events are scheduled to conclude about 3 p.m.